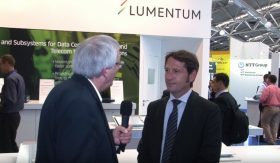 (pictured, left) In the TERRANOVA project, Fraunhofer IAF is focusing on the integration of wireless modules at the chip level. The image shows a functional prototype of a 300 GHz multichannel wireless system for further integration as a system-on-chip. The scientists demonstrated their research in the project TERRANOVA at the Productronica trade fair in Munich from 14 to 17 November. Photo Fraunhofer IAF. Today it is already becoming apparent that the data rates offered by the coming 5G mobile communications standard will not sate private users and industry’s hunger for data for very long. That is why Fraunhofer experts are already working on 6G together with partners from industry and research as part of the EU-sponsored TERRANOVA project. When today’s leading 4G standard was introduced back in 2010, it was the first time that you could achieve the sort of data transfer rates on a mobile device that you could on a home network. This is what facilitated many of the applications that mobile users today take for granted, including video calling, on-demand video streaming and connected machines and vehicles. Even so, the hunger for data just keeps on growing, with the result that even the comparatively fast LTE data rates of up to a gigabit a second are increasingly proving the limiting factor in new applications. 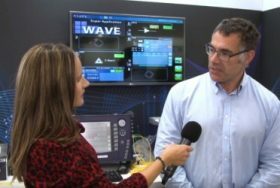 The next telecommunications standard, 5G, is already on its way; this new mobile communications standard promises to deliver a huge boost in performance for wireless communications – up to ten gigabits a second. Already, however, developers are realizing that the current frequency bands will not be enough to serve the growing demand for stable wireless communication. 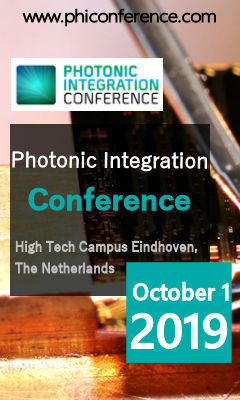 For this reason, researchers from the Fraunhofer Institute for Applied Solid State Physics IAF have teamed up with researchers from the Fraunhofer Institute for Telecommunications, Heinrich Hertz Institute, HHI and further partners from industry and research to start work on the communications standard that is set to follow in the EU-sponsored TERRANOVA project. 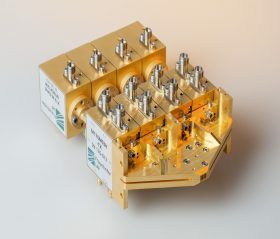 The goal is to create a network connection in the terahertz frequency range that is sufficiently stable to allow for wireless data transmission at speeds of up to 400 gigabits a second. One way of providing such fast data rates is to expand the fibre optic network. However, not only is this expensive, it also fails to address the challenge of how to achieve such high data rates on mobile devices. The researchers’ solution is to combine fibre optic technology with wireless transmission. Admittedly, the frequencies currently employed by wireless technology are too low to achieve the kind of bandwidth necessary to relay data at fibre optic speed. “As a rule of thumb, the lower the frequency, the less the available bandwidth. To achieve the same data rates provided by fibre optics wirelessly, we need to be transmitting on frequencies in the terahertz range. While these have a more restricted range than megahertz frequencies, they have a significantly greater bandwidth. 4G operates on frequencies of between 800 and 2600 megahertz, which give a bandwidth of up to a gigabit a second. Bandwidth is one of the central challenges. This is primarily because there are more and more devices and users making use of communications technology – from the mobile phone to the car, the smart home to Industrie 4.0. “It’s not just about the speed of the data connection though. Another challenge we are addressing in this project is seamless transition between different access technologies. 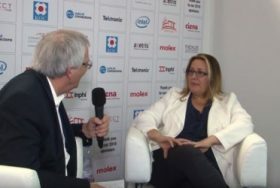 There are many challenges to overcome on the way to the 6G standard, both in terms of the individual components and the way in which all the network components interact. To address these challenges, the two Fraunhofer Institutes are working on core tasks. Fraunhofer IAF is focusing primarily on the wireless transmission and the integration of wireless modules at chip level. One of the challenges is how to integrate a baseband interface with the fibre optic network and transmit the signals to the chip. 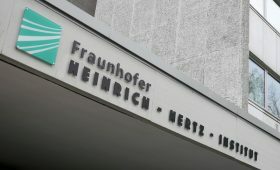 Fraunhofer HHI, meanwhile, is working on signal processing so that signals can be transmitted from the antenna with as little disruption as possible. 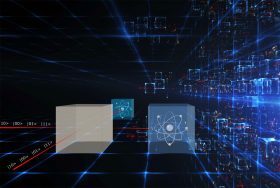 This signal processing must take place extremely rapidly, calling for the development of special algorithms that can make signal processing as efficient and energy saving as possible.